We are lucky to have the use of an area of the beautiful Egerton woodland as our Forest School. In an age where children are absorbed by their electronic devices and have a lack of safe outdoor opportunities, the chance for them to escape the pressures of the online world is essential. Our fantastic outdoor setting encourages teachers and pupils to embrace teaching and learning in a challenging, natural woodland environment. Forest school is outdoor, nature-based learning that focuses on the holistic development of the child. In forest school, activities are provided, but rather than being adult-led, each child chooses and tailors the activity to suit them, while we observe their preferences and development. We flow with the energy of the day and follow what children want to do. Forest school is a regular, long-term process, rather than a one-off. Typically, children will attend forest school sessions at least six times a year. It is child-centred with a high adult to child ratio. Observation, rather than direction, is key, and children learn to care for the natural environment through their activities. 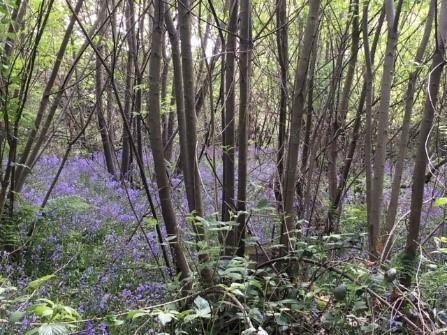 We are lucky to be able to use the woodland of a local Egerton resident for our forest school, which is situated less than half a mile away from the main school site. 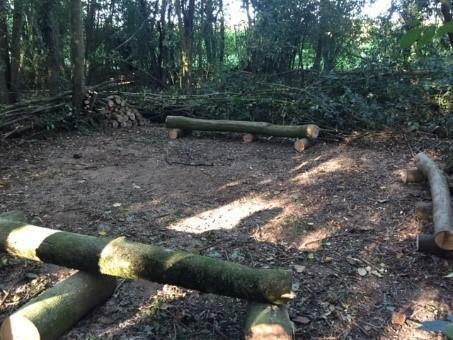 We have two qualified forest leaders, Miss Mackett and Mr Kennett who plan and implement a forest school experience for all year groups as well as extra sessions for vulnerable children. Forest school helps children develop many skills that are hard to teach in the classroom. It’s very physical so it encourages children to be active, with lots of activities to develop both fine and gross motor skills. Children learn to assess, appreciate and take risks, making sensible, informed decisions about how to tackle the activities and experiences they encounter. They learn to be self-sufficient and take care of themselves, which boosts their confidence and self-esteem. Through trial and error, they learn to deal with failure and develop the perseverance to keep trying: a vital skill in the classroom as well as outside. Forest school ties in with many areas of the National Curriculum. For example, being outdoors year-round helps children learn about weather and the seasons, which are part of the programme of study in geography, studying mini beasts and plant life relates to the science curriculum, and working on tasks like den building and woodwork links with design and technology. Children also benefit from the simple act of being outdoors. Research has shown that it improves mental and spiritual health, communication skills and social relationships, among other things. Connecting with nature helps children feel part of the world and just being outside in nature is calming – it can be seen in how the children behave.